A poly printed padded bubble bag is a safe and environmentally friendly product that is widely used and recyclable. Its encapsulated flap and self-adhesive sealing tape are designed to allow customers to quickly and easily seal and prevent others from tampering with internal packaging. 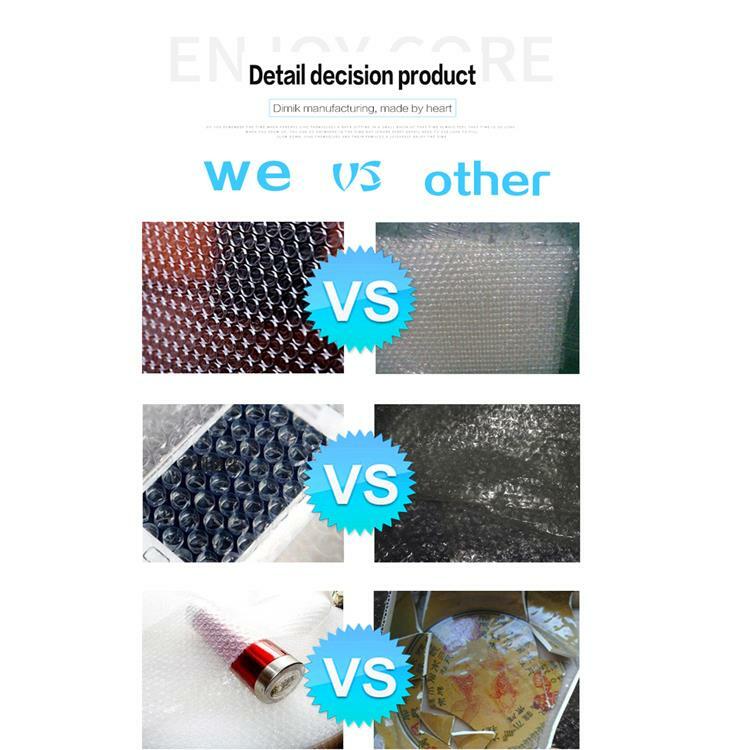 In order to make the film of the poly printed padded bubble bag better together with the film, we heat the film and add a layer of lamination to make the appearance of the bubble bag better, so that the product is stronger and the film quality is better. * Made from unique lightweight fill mail, durable and moisture resistant. 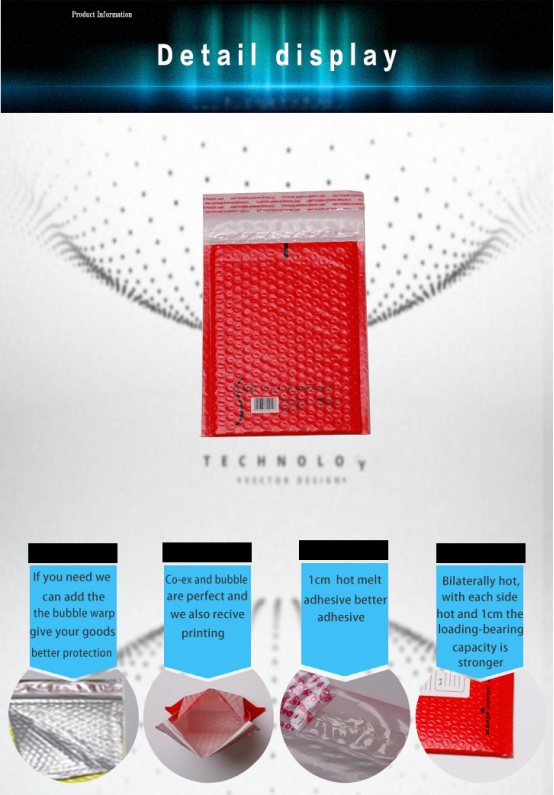 * The Co ex is laminated to an elastic buffer bubble material to provide additional toughness for added protection. * With excellent puncture resistance, tear strength and cushioning properties. * The self-sealing cap provides a reliable, tamper-proof seal to secure all enclosures. * The opaque, bright red outer film creates a clear, professional image for your company. * Available in a variety of sizes to accommodate magazines, brochures and fragile items. Promotional items, cosmetics, audio cassettes, books, videotapes, CDs, jewelry, mobile phone accessories, etc. Ideal for post offices, courier companies, logistics and parcel transportation companies, packaging wholesalers, office stationery suppliers, online retail stores. Q: Can be customized according to we needs? A: We can customize according to your size, material and style. Q: If i want to offer how to do? A: Reported to us you need the size, style, material, or to send us samples. A: Payment<=1000 USD, 100% in advance. Payment>=1000 USD, 40% T/T in advance ,balance before shippment.